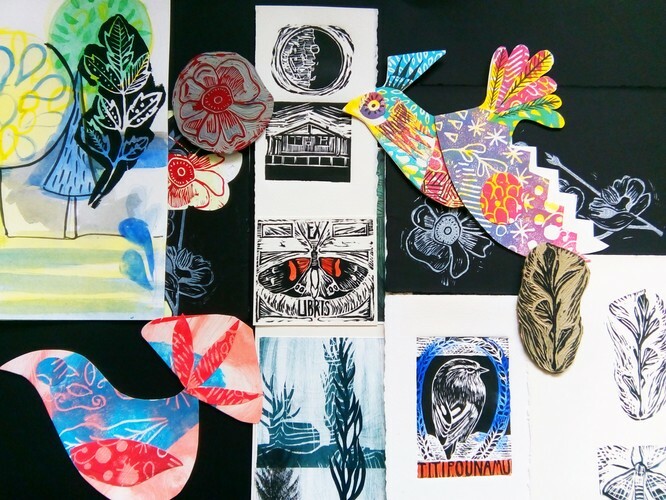 Studio One Toi Tū - Bookmaking may be the upcoming event you’re looking for. This course will explore a range of relief printmaking methods such as lino cut, collagraph and foam plate printing in a fun and experimental environment. You will gain an understanding of techniques and have a range of completed prints to take home at the end of the course. We will share our discoveries in a collaborative learning environment and enjoy the process of creative experimentation. This course will also foster confidence using a range of printmaking equipment. Please bring some photos, drawings or images to help generate ideas for your prints. Class 12 max. Additional materials list will be provided on enrolment.